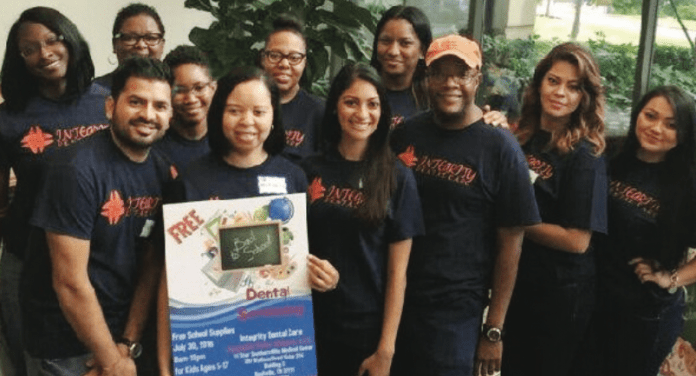 NASHVILLE, TN — There were plenty of smiles, giggles and laughs during Integrity Dental Care’s First Free Back to School Dental Screenings and Back Pack Giveaway bash last weekend. Dr. Jacqueline Butler Mitchell, D.D.S. and her staff provided free backpacks to children during the event. But most importantly, the kids also got free dental screenings that will be more than helpful in their dental health. Located at 397 Wallace Rd, Bldg. C – Suite 214, in the Tri-Star Southern Hills Medical Center, Integrity Dental Care serves a diverse group of patients from the Nashville area and others who have moved here from around the world, including several refugee kids from Thailand.